COCOA BEACH, Florida - Donning a Hawaiian Lei and sunglasses, U.S. 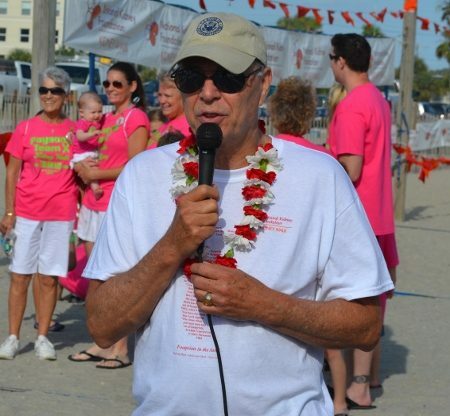 Congressman Bill Posey (R-FL) of Rockledge, Florida helped kick-off Saturday's 5K Kidney Beach Walk sponsored by the National Kidney Foundation (NKF) of Florida as a tribute to organ donation. 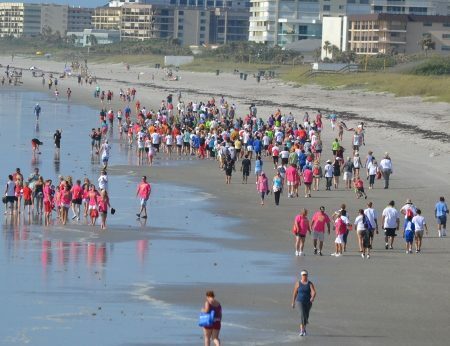 The walk took place just after 9:00 AM on May 12th, 2012 at the Cocoa Beach Pier in Cocoa Beach Florida. The day’s activities began with a “Circle of Life” paddle-out in the morning sunrise and conclude with a “Sand Castles of Hope” contest for kids. 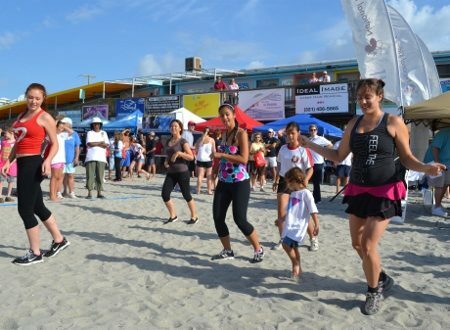 Members of the YMCA Zumba class from Suntree, Florida led a warm-up dance on the Cocoa Beach Pier volleyball courts before participants embarked on their three-mile walk to Shepard Park and back to the Cocoa Beach Pier. “I think it’s a beautiful theme, what a way to spend the morning,” said Kristin Neal, Public Education Coordinator at TransLife. “A gorgeous backdrop and a wonderful event.